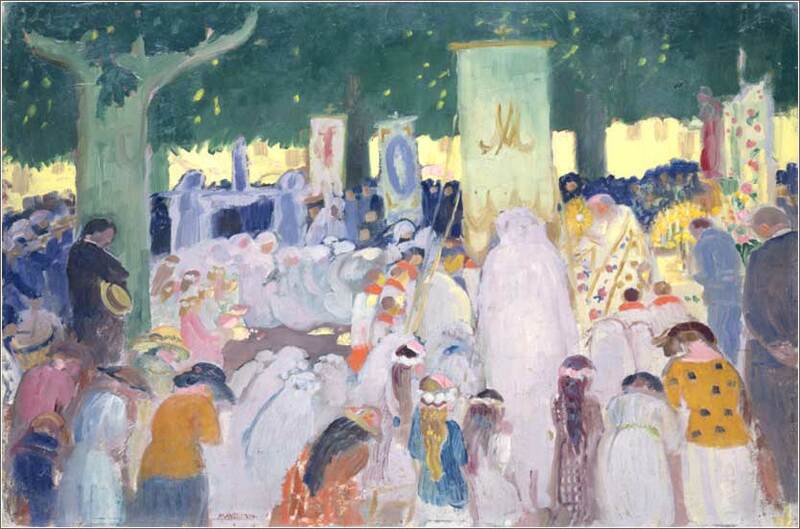 Procession by Maurice Denis, ca. 1919. Lord Jesus, I find myself sometimes filled with depression and negativity over what I see as my failures in life; shame, guilt and anxiety beset me, and I grow sorrowful that I am not more, that I have wasted opportunities in my life. I sometimes feel worthless and helpless, with unwelcome humility forced upon me. Help me, sweet Jesus, to turn my eyes upon you. Give me the hope I need, and help me face life with the courage of faith in you. You told your disciples to be anxious for nothing. I give to you my anxiety, Lord Christ, and lay my troubles upon your mighty back; and I pick up your burden, for you have promised that it is light, and that you are gentle and kind. Let me work for your glory and not my own, putting an end to the pain of my vanity, that I may serve you in joy and peace all my days. 7-8 God has called us, not to impurity, but to holiness. Anyone who rejects these teachings does not break rules made by men, but the Word of God Himself. 8 Consequently the rejecting not man rejects but god the giving the holy spirit of him to you. In the preceding verses, Paul instructed the Thessalonians not to engage in sexual immorality, but to maintain “control of their vessel”, and especially not to take sexual advantage of another person. The first verse today is a transitional sentence. One might call it the rationale for sexual self-control, or the general principle upon which sexual morality is founded. He doesn't really give a reason for sexual conduct being a concern of God, however; he is assuming the continuing vitality of the law of Moses, and he is on firm ground in doing so. While Christ did not teach much about sexual morals, one cannot read Matthew 5 without understanding Christ's assumption that, as regards sexual conduct, the law of Moses survived His coming intact. In fact, where Christ's taught on the subject — lust and divorce — His teaching was significantly stricter than that of the law. But Jesus really just announced new and more stringent principles; and although he gave examples, He really left it to His apostles to do the detail work. Paul then puts teeth into his teaching; and this applies not only to the preceding instructions on sexual conduct, but to all of the Bible itself, for it forms the cornerstone of the Doctrine of Scripture. Briefly, there are four mainThere are other principles included in the Doctrine of Scripture, but these four are the foundation. primary legs of the Doctrine of Scripture, often represented by the mnemonic acronym “SCAN”: Sufficiency, Clarity, Authority, and Necessity. Paul here gives the fundamental statement of Authority of Scripture, the most basic and important of the four. His words (and by extension, the words recorded in the Bible) are the Word of God, not the teachings of men. Some Christians, and most atheists, do not appreciate the fundamental dissimilarity of secular ethics and Christian morality. Paul does not say, avoid fornication because you will have stronger family lives, you will be physically and/or mentally healthier, it will avoid strife, or we have taken a vote and agreed that it is best. Not even “because you think it is the right thing to do.” He says, rather, that he is speaking for God; and to engage in sexual immorality is therefore to reject God, who gives the Holy Spirit to us. 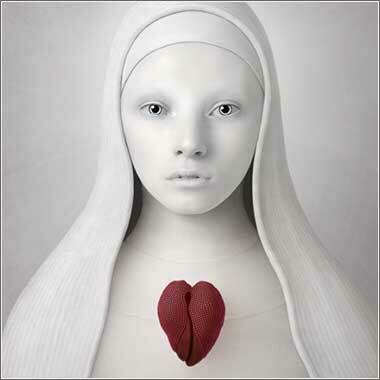 Digital portrait, an allegory of purity with a clear reference to Mary, by Oleg Duryagin, contemporary.